The plant is owned by Bansal Group & Located in tribal area of Village Jeerabad, Tehsil Gandhwani, District Dhar of Madhya Pradesh. 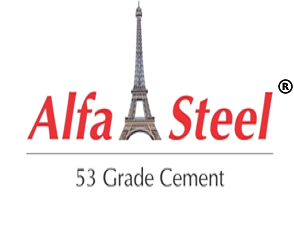 Currently plant is producing 43 Grade & 53 Grade Ordinary Portland cement and Pozzalana Portland Cement. Bansal Group having vast experience in the field of cement manufacturing & Mining made a enormous growth in the plant. This plant is located near Indore which itself is a big consumer of cement. Indore is one of the smart city chosen by government of India . 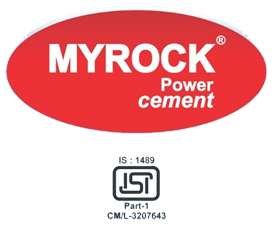 Myrock Cement is special blended cement useful in general construction work and is especially suitable for applications in aggressive environmental conditions. Its significant properties like resistance to chemical attack makes it most suitable for usage in water retainer structures and structures. Our enterprise is able to carry out all the entire business operations due to state-of-the-art infrastructure facility, we have. This facility is equipped with all the advanced machinery and equipment that is required in the manufacturing process. We give utmost attention on the quality of the products. While developing our range, we keep in mind all the standards and guidelines set by industry. 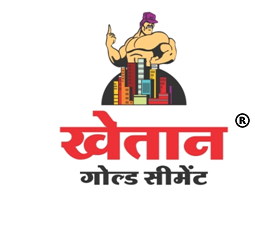 Owing to our superior quality, we have been able carved a niche in the market..
To be a role model cement manufacturing Company, benefiting all customers and fulfilling Corporate Social Responsibilities while enjoying public respect and goodwill. We should be one of the largest Cement Companies in the Country. Our growth in size will be through continuous review of potentials of the existing manufacturing resources, strategic acquisitions and expansions.